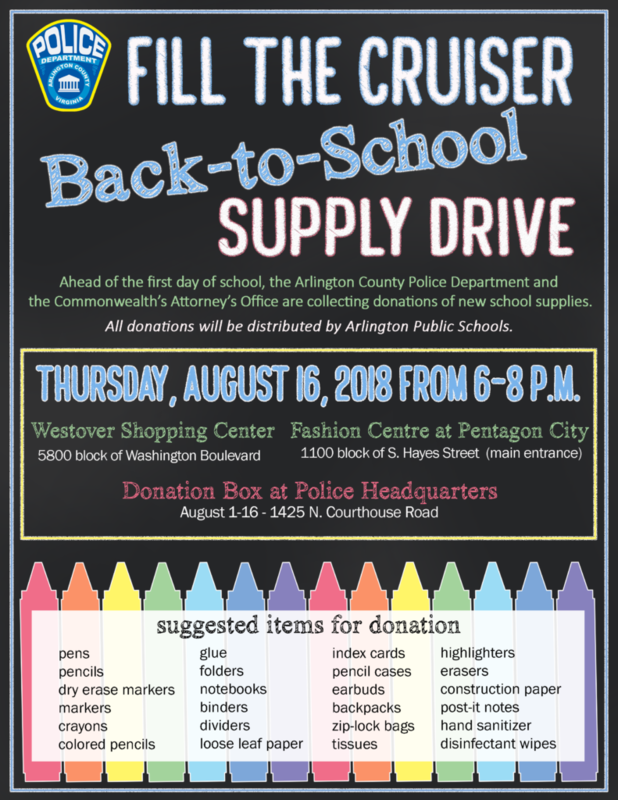 ARLINGTON, Va. – Help Arlington County students start the school year prepared to succeed by donating new school supplies and other classroom materials during the Fill the Cruiser Back-to-School Supply Drive. All donated supplies will be provided to Arlington County Public Schools for distribution to teachers and students. 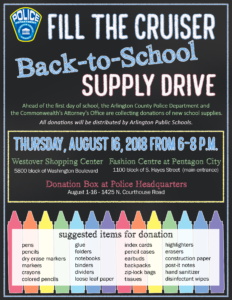 Those wishing to donate supplies but unable to attend the Fill the Cruiser events can drop off donations at Police Headquarters located at 1425 N. Courthouse Road between August 1 – August 16, 2018.